I selected the left to right diagonal -- stripes, punch and patterned paper. 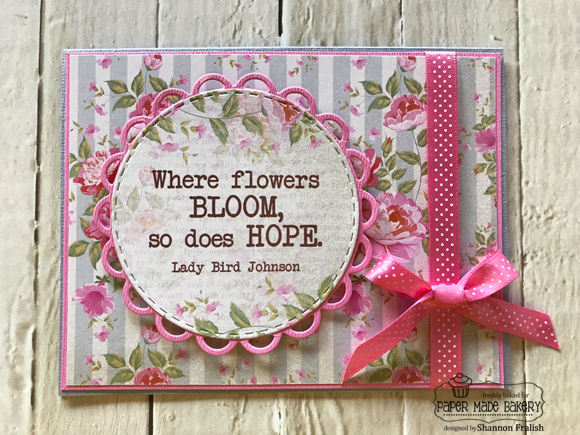 There's a lot going on in this card, but I really like a cheery, busy card! While this photo may not show it well, the wide stripes are actually gold foil and this touch really makes this card snazzy! With all these goodies, I didn't even pull out my stamps and ink -- wha?! The patterns and textures and layers make me happy. You should grab the inspiration board and head to your crafty space to dream up something that makes YOU smile! 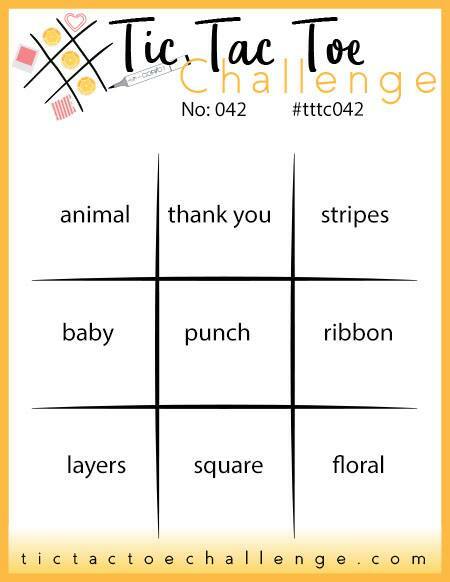 Thanks for stopping by and I look forward to seeing what you create for this week's Tic Tac Toe Challenge. You know when it just hits you, straight on, and you know you have to do it? 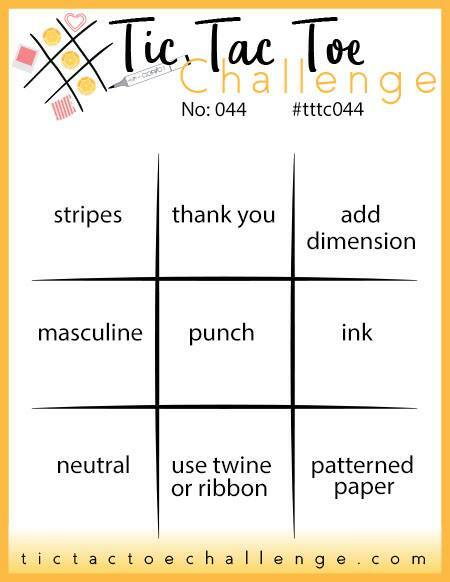 Well, that's how I felt when I saw my teamie Corinne Blake's Tic Tac Toe Challenge inspiration board this week while thumbing through my packet of Authentique's Jubilee collection! I chose the far right column: stripes, ribbon and floral. Well, I think it's closer to say that the column choose ME as I gazed upon this not-so-Eastery, but ever so lovely, paper. It reminds me of old fashioned wallpaper, but in a really shabby chic and awesome sort of way! Viva La Verve's March 2018 sketch was also an inspiration because it helped put everything together. And, this doesn't happen very often, but this is a no stamp card. Can you imagine? I brushed off some Spellbinders and Taylored Expressions dies and (I think) some older Papertrey Ink ribbon, and voila, a star is born! 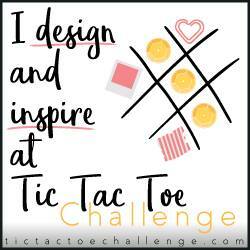 I hope you'll be as giddy about the inspiration board in this week's Tic Tac Toe Challenge as I was. 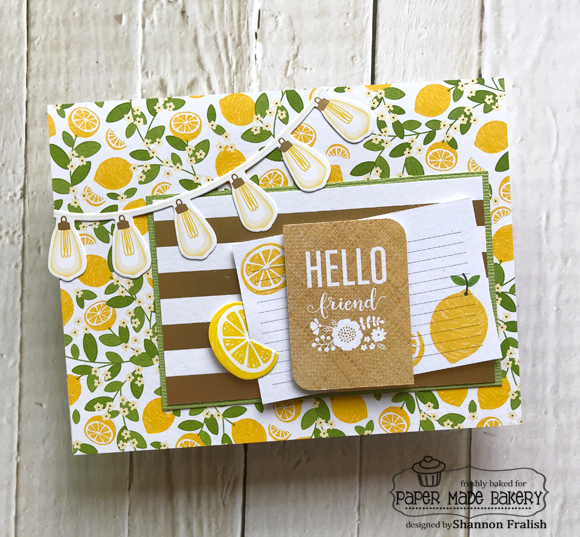 It's so much fun to puzzle out how what you have in your craft area can easily be turned into a fabulous card in no time -- Enjoy!